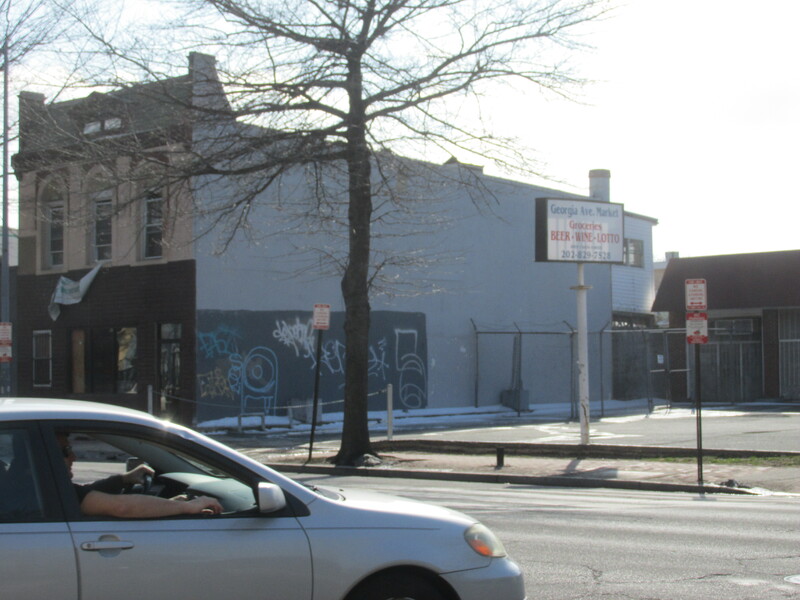 New Mural in the Works for 3124 Georgia Avenue | Park View, D.C.
A new mural is being planned for this vacant wall at 3124 Georgia Avenue, NW. A new mural is in the planning stages for the large vacant wall on the southwest corner of Georgia Avenue and Kenyon Street. Advisory Neighborhood Commission 1A approved a letter in support of the mural at their March 8, 2017, meeting. Prior to the approval, Commissioner Rashida Brown had meet with the property’s owner and with Words, Beats & Life with is the organization that has selected the site for the mural. Words, Beats & Life will work closely with the ANC and the community during the mural process. The organization partners with local artists and community members to replace graffiti with art and will provide the supplies and instruction necessary to complete the project. No design has been shared for this specific site to date. This entry was posted on March 20, 2017 at 7:01 am and is filed under Art, Murals. You can subscribe via RSS 2.0 feed to this post's comments. that’s great; but how about an actual development on this ugly corner? How about instead of murals, we force these people to actually fix up their building or start construction on the buildings they’ve owned for years, but have sat vacant.